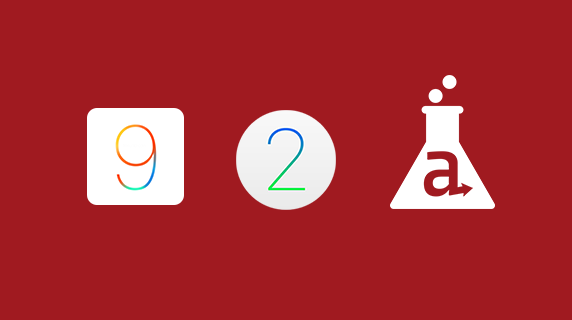 Introducing iOS 9 Support, watchOS 2 Connectivity, and the Launch of Appcelerator Labs! Apple just buttoned up iOS 9, and as you’ve (hopefully) come to expect, here we are releasing GA support for the new OS version on the same day of its general availability. Now, developers can immediately prepare their apps to be iOS 9-compatible and start to take advantage of new capabilities, including multitasking, app thinning and the ability to expose app content to Spotlight Search. On the Watch front, support for the refreshed operating system now allows Titanium-built iOS apps to include and communicate with watchOS 2 apps. We’re also unveiling a brand new element to the Appcelerator Platform: Appcelerator Labs. Labs is the new home for our community to start using—and even guide the direction of—emerging Appcelerator products and features before they’re generally available. Appcelerator Labs gives our ecosystem of more than 750,000 developers and hundreds of ISVs and partners early access to upcoming capabilities and allows them to take on a larger role in the future of the Platform by sharing feedback earlier in the development process. This is a big one. 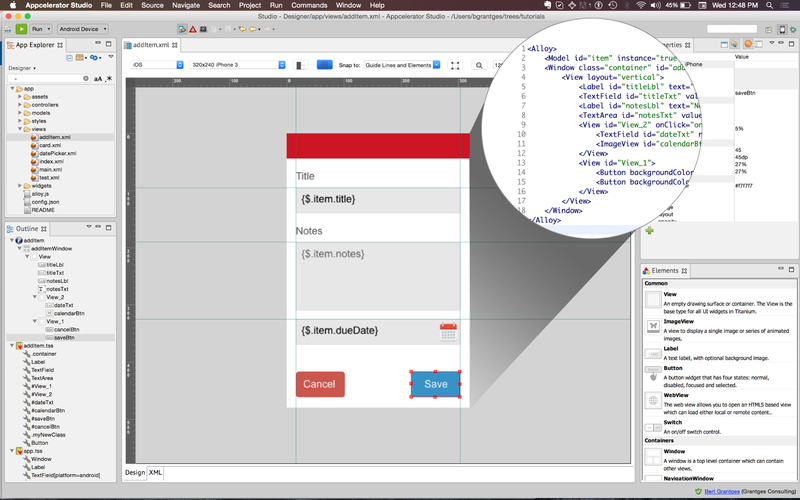 Drag, drop and edit elements directly on your design canvas, and App Designer will write the Alloy View XML and Titanium Style Sheet code for you. It’s purpose-built for cross-platform, and crucially, it’s bidirectional: edit the XML directly and watch as your design changes with it. Designer gives you a simple, powerful way to visually create best-practice, production-quality code, and for developers and designers to collaborate. After seeing both TestFlight and HockeyApp get acquired by the big guys, we’ve added a cross-platform beta distribution solution to our arsenal of Platform capabilities. App Preview provides a headache-free way to distribute beta versions of your apps—so you can spend less time collecting UDIDs and instead focus your attention on building a great experience. It’s not enough just to visualize the key metrics. Now, you can actually be in control of the information that’s important to you. With the new query building functionality, you can personally slice, dice and graph your data in a way that matches your unique needs. There are more ways to access the data as well—you can create alerts to get notifications via email or webhook, and APIs are generated for each query so you can consume the data in any way you like, whether through a third-party business intelligence system or custom dashboard. We’re very excited to make available a beta of the Hyperloop® Module that will allow you to access every native API regardless of whether we support it for cross-platform or not. As you know, we cover roughly 80% of the native APIs and make them cross-platform with our Titanium SDK today addressing the most popular APIs. This new module will give you direct access to the other 20%, should you need them, with no need to write native modules! It supports iOS and Windows today with Android on the way. We’ve had a number of requests to access Apple’s HealthKit. Now, you can do just that. With this module, contributed by Appcelerator partner Logical Labs, you can access all the information available in HealthKit for use in your Titanium-built apps. We’re excited to hear what you think about it. Arrow’s popularity is growing by the day. Along with that growth, we’re getting requests for more and more connectors to allow developers to easily access backend systems. This new connector will unleash a big opportunity to connect to, and orchestrate data from, any system that exposes SOAP/WSDL. This will unlock a whole host of new backends for you to begin producing (and automatically documenting) RESTful APIs. How’s that for a debut list of capabilities? 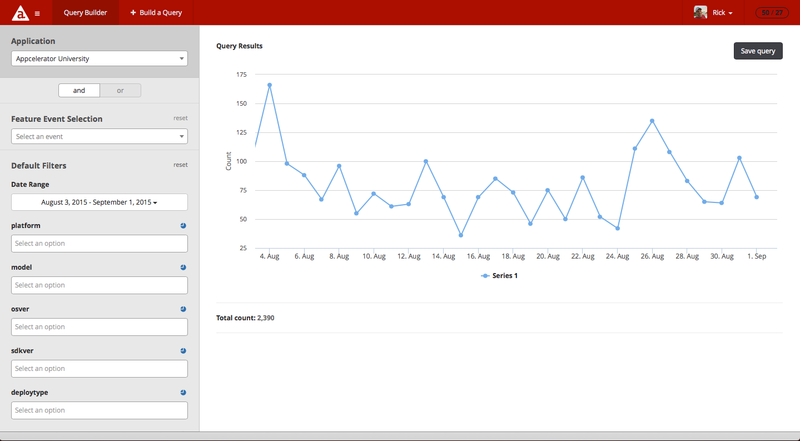 Appcelerator Platform customers and Platform trial users can experience the new capabilities now in Labs. Anyone else is welcome to explore Labs as well by signing up for free access to the Platform. We hope you enjoy playing around with the new projects and we look forward to your feedback. Let me also say that our remarkable community played a crucial role in making Titanium’s iOS 9 support a success. Special thanks goes to Titan Ben Bahrenburg for his key contributions around several of the iOS 9 features. To learn more about these features and others, be sure to join our Tech Talk series over the next several weeks where you can see everything in action. Oh…and stay tuned for other cool stuff that will make an appearance soon! After performing the upgrade to 5.0GA..I am unable to submit apps to IOS…i keep getting invalid IPA file in application loader..
Peter could you open a Q&A topic with logs so we can tackle that? That’s a big thing, long awaited. Glad to see that things are moving! A stride for Appcelerator!!! Yahooooooooo!!! Please use the Q&A (community.appcelerator.com) to discuss technical challenges and JIRA (jira.appcelerator.org) to report bugs. App Designer is MASSIVE! I’ve been waiting on this for sometime — hugely impressed!